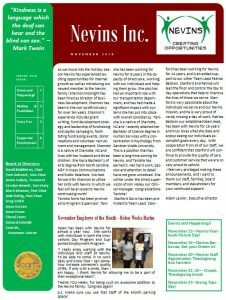 December 2018 Newsletter is Here! 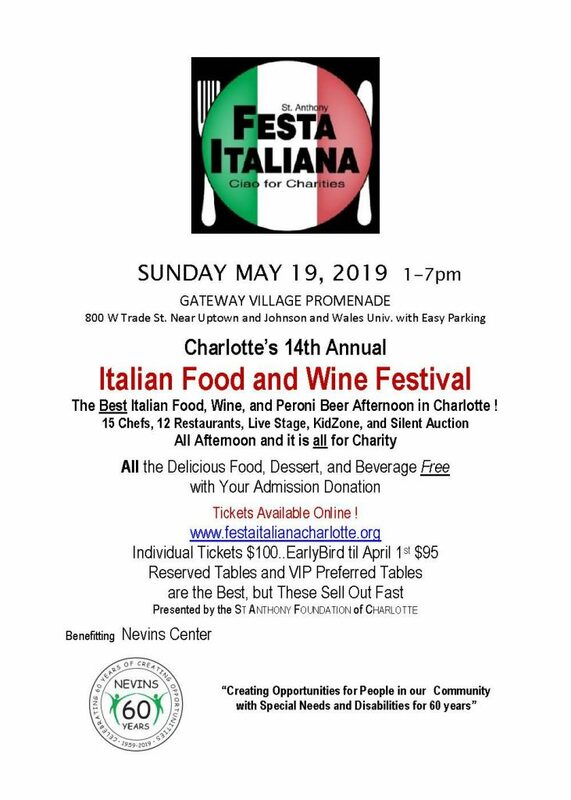 This months Newsletter is FULL of great stuff! Plenty to keep us all busy going in to the holiday season! As we move into the holiday season Nevins has experienced exciting opportunities for internal growth as well as introducing our newest member to the Nevins family! Shannon McKnight has been hired as Director of Business Development. Shannon has been in the non-profit industry for over ten years. Shannon’s experience includes grant writing, fund development strategy and leadership of fundraising and capitol campaigns, facilitating fundraising events, donor relations and volunteer recruitment and management. Shannon is a native of Charlotte, NC and lives with her husband and three children. She has a Bachelor’s of Arts degree from North Carolina A&T in Mass Communications and Public Relations. We look forward for Shannon to utilize her skills with Nevins in which we feel will be an asset to Nevins continued growth! Tanisha Rorie has been promoted to Program Supervisor. 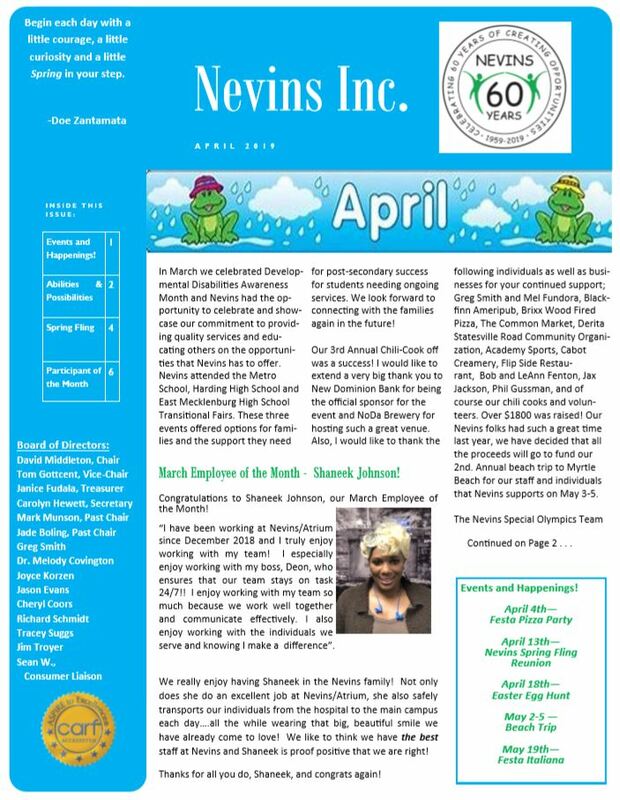 Tanisha has been working for Nevins for 8 years in the capacity of direct care, working with our individuals and helping them grow. She also has had an important role with our transportation department, and has had made a significant impact with systems she has put into place with overall consistency. Tanisha is a native of Charlotte, NC and recently attained her Bachelor of Science degree in Human Services with a concentration in Psychology from Gardner-Webb University. This is a position that has been a long time coming for Nevins, and Tanisha has earned it. Her hard work, passion and attention to detail have not gone unnoticed. She will be under the direct supervision of Kim Hailey our Clinical Manager. Congratulations Tanisha! Stanford Davis has been promoted to Team Lead. Stanford has been working for Nevins for 14 years, and is an added support to our other Team Lead Patrice Baldwin. Stanford and Patrice will lead the floor and control the day to day operations that help to improve the lives of those we serve. 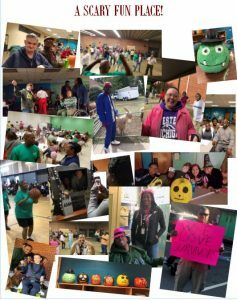 Stanford is very passionate about the individuals we serve and our Nevins mission, and he is very proud of rarely missing a day of work. Patrice Baldwin our established team lead, has been with Nevins for 19 years and truly loves what she does and enjoys seeing our individuals accomplish goals every day. With cooperation from all of our staff, we are confident that Stanford will continue to provide the quality of care and customer service that we are so very proud to uphold. I feel very privileged making these announcements, and I want to thank our staff, families, board members, and stakeholders for your continued support! All of this and More for Download Here! 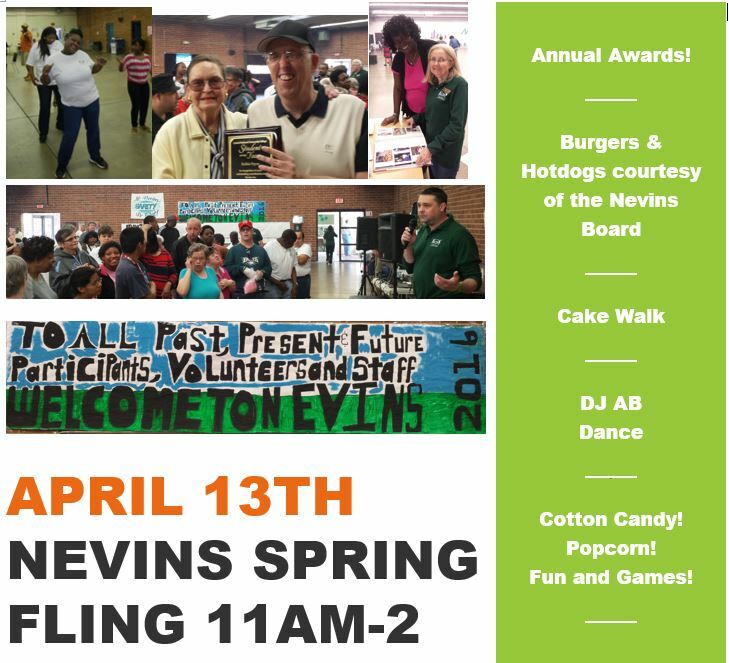 Nevins April Newsletter is OUT!